The comfort that lies in Saag, an Indian staple. Know the story and go ahead and try it at an Indian restaurant in Bali. Picture this, the cold winter air is nipping at you, a warm quilt blanketing you but not warm enough. 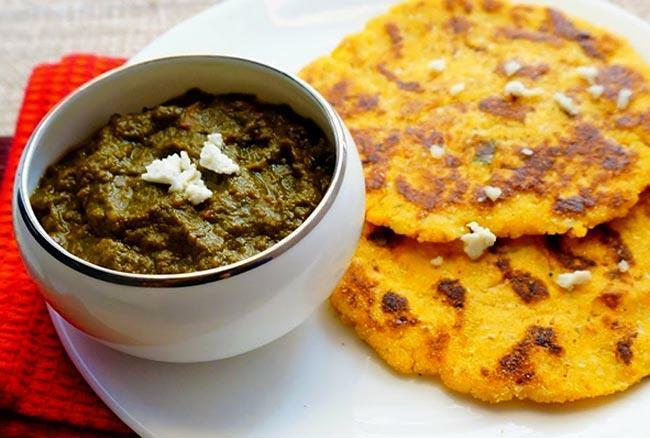 It’s lunchtime and you served a piping hot bowl of some homemade sarson ka saag (mashed mustard leaves) along with butter-laden crispy makkai ki rotis (corn-based flatbread). Sounds like comfort on a plate right? The instant warmth really helps with the chilly weather. Why? Being a fiber high dish, saag takes more time for digestion and the longer it takes, the more warmth it spreads across the body. This warmth also improves metabolism. As an Indian restaurant in Bali, here’s a little insight into the lovely concoction called sarson ka saag. 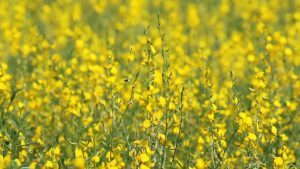 Sarson (mustard seeds) being abundantly available through the lands of Punjab made saag a Punjabi staple and it continues to be one still. As a restaurant pioneering Indian food in Bali, it was clear to us, that the saag had to be perfect and diving deep into its past was a key in doing that. It was more popular among the rural people in the earlier times, being as it is a slow burning dish provided them with the energy, they needed through the day working laboriously in the fields. As an Indian restaurant in Ubud, we decided to dig deep and found that the original sarson ka saag used to be lacking in spices because the main purpose was health and not flavor. All it was prepared with was some salt, ginger and a number of other green veggies to mellow down the pungent flavor. Those cooking the saag would leave the blend to simmer till it cooked in water and developed a thick buttery consistency, after which it was topped with onions and fresh butter. Offering Indian cuisine in Bali, it was evident to us that highlighting the endless health benefits of this dish were important. First off, these nutrient-rich leaves offer anti-cancer effects and help lower blood cholesterol level. The presence of fiber and magnesium help strengthen the muscles. Moreover, the garlic, ginger, and onions that go into its preparation are anti-inflammatory and help improve digestion too! The only things you need to maintain the nutrients intact is pressure cooking it rather than boiling the leaves because boiling takes away all the essential nutrients. Which is why we as a restaurant offering Indian food in Ubud we pressure cook the leaves. The stems of these mustard leaves have a rather tough skin so it’s advised to finely chop them first. The next step is steaming them in water until they turn soft and slightly mushy. Add spinach or other green vegetables so as to mellow down the bitterness that the leaves contain. Add salt, garlic, ginger, and other spices too. Let it cook while mixing it with the ladle every once in a while so as to mash it into a pulp. Keep at it till it becomes thick and creamy in consistency. You could even fasten the process by mixing it in the grinder achieving the pulp form faster. Don’t forget to top it up with ample butter and serve them with warm makkai ki rotis. Sounds exquisite right? If you wish to go into a food coma, chaach sounds like a brilliant idea! And that’s how we ensure a brilliant homebound meal as an Indian restaurant in Bali. To know more, head to www.queenstandoor.com or to Queens of India Bali to try delicious food. The tantalizing story of the beloved dal makhani. Why Indians love it so much and how we as an indian restaurant in bali replicate the exact flavors. The caring hands behind your Indian Food in Bali, at Queen’s Tandoor.